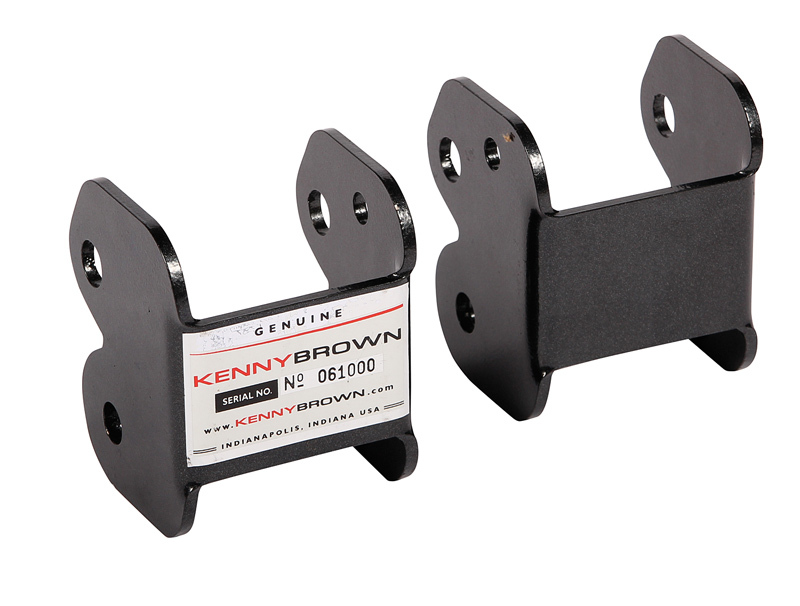 The Kenny Brown Performance Anti-Squat Traction Brackets for Mustang are a super effective way to get tons of traction and stability with a minimal amount of investment. What they do is make the front end of your Mustang much more rigid and less flexible in order to give it a more reactive feel during steering, launching off the line and braking. These traction brackets are one of the best performance upgrades you can get for your Mustang if you're planning to go to an open track day or even have a little fun on the streets. They are simple yet effective and hold a lot of value for what you pay. So if you're looking to upgrade the steering feel and responsiveness of your Mustang, then grab a set of Kenny Brown Performance Anti-Squat Traction Brackets from ModBargains by calling the number below. If you have any questions or want any suggestions on what parts are best for your vehicle, our specialists would love to talk with you.